The Museum has many boats in its collections and three of these are kept floating in Swansea Marina – the lightship Helwick, a tugboat called Canning and a beautiful pilot cutter named Olga. 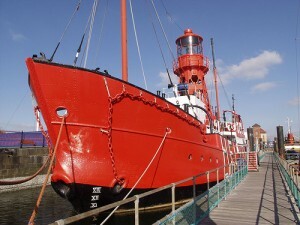 Lightship 91, known as ‘Helwick’, spent much of its life warning ships about the Helwick Sandbank in the Bristol Channel. There is no public access to Helwick but she can be seen clearly from the pontoon and dockside. Tug boat ‘Canning’ was built in 1954. She is an oil-burning steam tug who worked from Swansea Docks from 1966. She retired to the Museum in 1975. 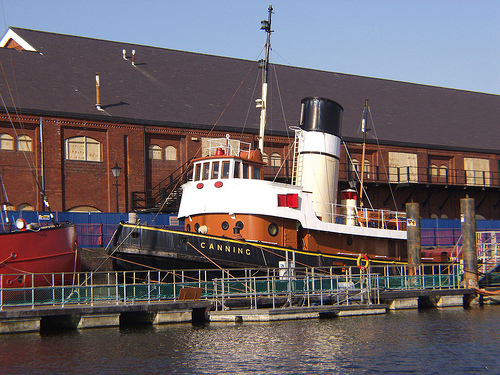 There is no public access to Canning but she can be seen clearly from the pontoon and dockside. ‘Olga’ is a Bristol Channel Pilot Cutter built in 1909. 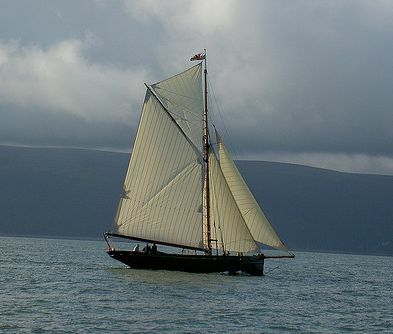 This type of fast boat was used to take pilots out to larger ships to guide them through the difficult waters of the Bristol Channel.